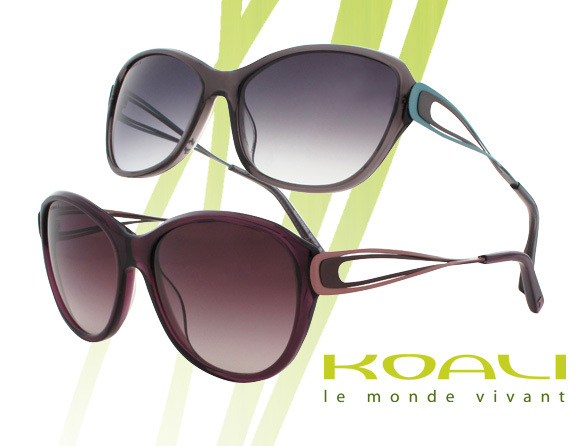 “Nature-inspired” takes on an entirely new meaning when it comes to KOALI’s Népenthe II sunnies. Drawing influences from the Népenthe tropical pitcher plant, these shades are true reflections of one of earth’s many beautiful entities. And these frames don’t just bear the plant’s name. With tendril-like temples featuring delicately interlaced strands, they perfectly resemble the plant’s fluid, vase-like silhouette. Meanwhile, their natural palette—of deep gray and wine purple with a hint of muted aqua blue—and softened round and square silhouettes further embrace an organic vibe. Get even more deets here!